I began my presentation with some tips on conducting interviews with family members and recording our family stories to pass down through the generations. 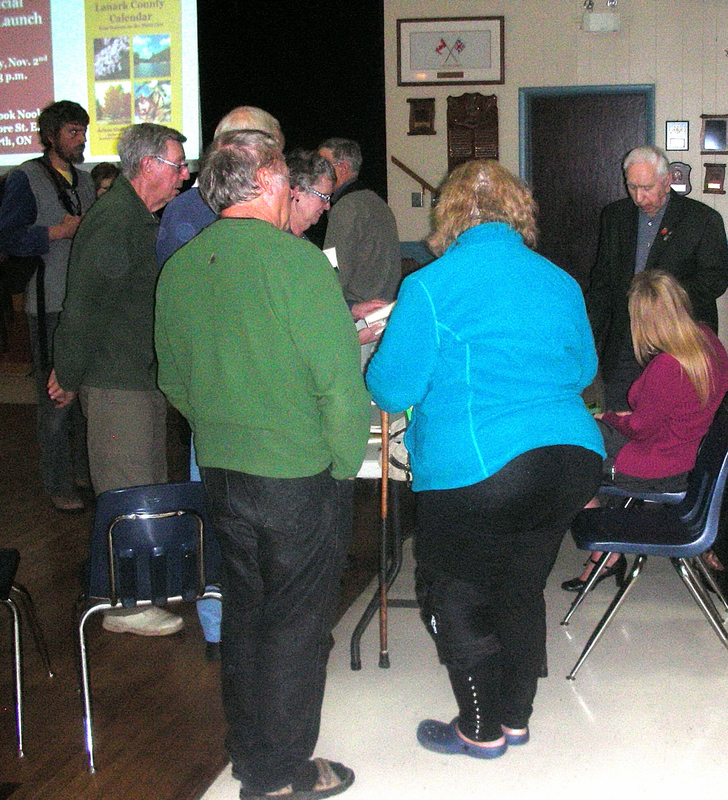 Next, was a discussion of some of the early families who settled in Drummond Township following the War of 1812. 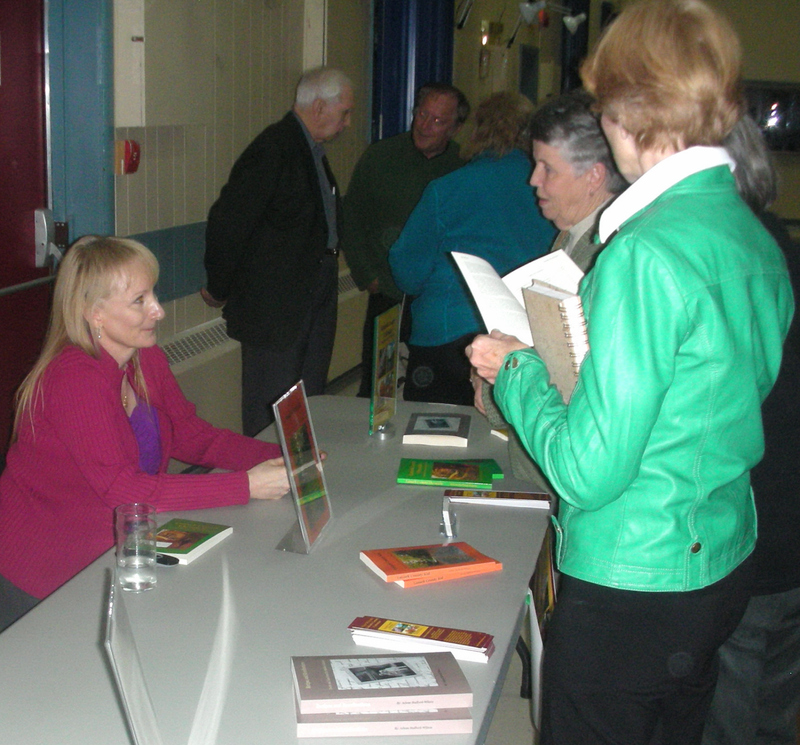 I presented an overview of life in Lanark County in 1928 leading up to a reading of ‘The Cattle Drives of Ferguson Falls’, an excerpt from my third book ‘Lanark County Chronicle’. It was my cousin Thomas Stafford who participated in the cattle drive and he shared his story with me. 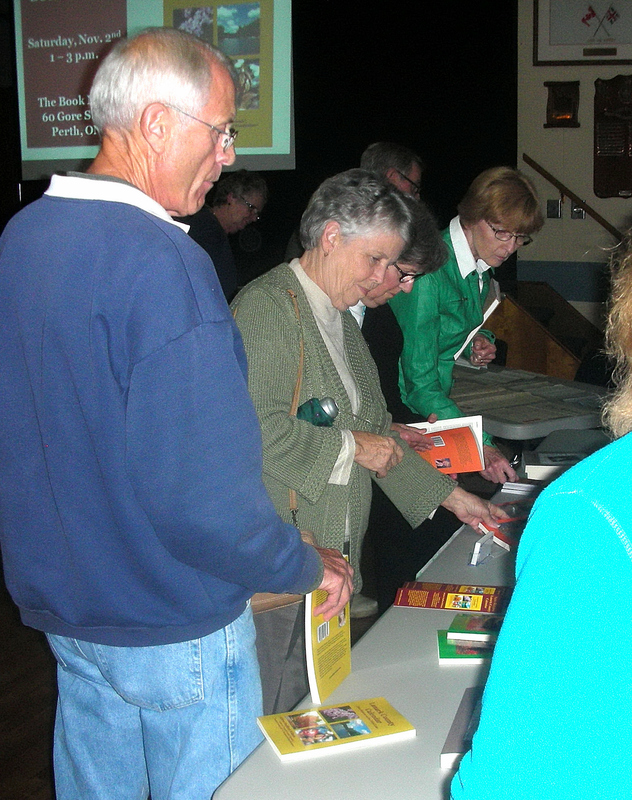 It was a privilege to meet so many people who shared a keen interest in the history of Lanark County and of Perth in particular. I was fortunate to meet distinguished Perth historian Mr. Gus Quattrocci and share a few moments with him. It was particularly special to re-connect with Mr. David Crowley, my former Principal from my years at Glen Tay Public School. A special thank-you to John, David and Barrie of the Perth Historical Society who assisted with our audio-visual set-up. What an enthusiastic trio of historians! It was a pleasure to meet them! I would like to extend a special thank-you to my cousin Thomas Stafford who provided the entire collection of documents displayed on the presentation table. Thomas lent us the complete paper-trail of the Doyle family homestead in Drummond Township from the 1820 original land grant on calf-skin with a wax seal from Lord Simcoe. The documents showed the land transfer from William McGrath to Joshua Dobson in 1822 then to Martin Doyle and Ellen Walsh in 1861. This included deeds, mortgages and all related paperwork. 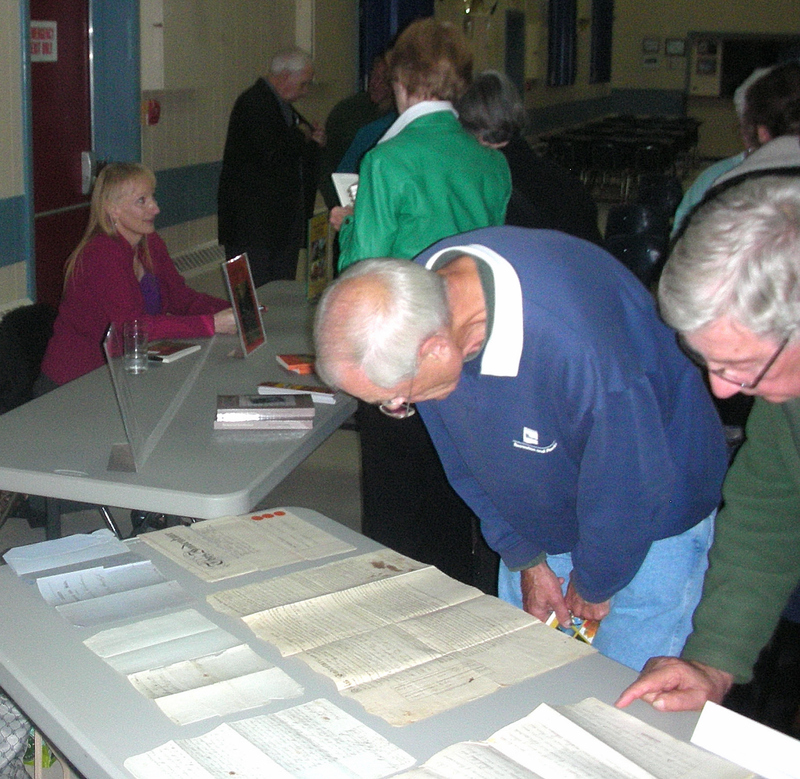 Many stopped to examine the papers following the presentation and it was an honour to share this wonderful display of our early history. I was pleased that many of my first three books were purchased at the book table and that I was able to sign and personalize them. It was the perfect occasion to announce the launch of my fourth book which will take place at The Book Nook, 60 Gore St., Perth, on Saturday, Nov. 2nd between 1 and 3 pm. Thanks again to the Perth Historical Society and other visitors for their warm hospitality and to allow me to spend such an enjoyable evening with them! This entry was posted in Author Events & Book Signings.